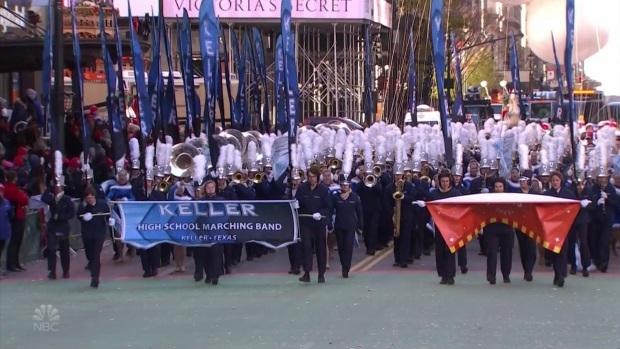 For the first time ever, the Keller High School Marching band performed in the Macy's Thanksgiving Day Parade and they were the only high school from Texas there in 2018. Find out how to watch the Macy's Thanksgiving Day Parade here. Freshman member Drew Bell is "very excited, like very excited" to be taking part. He's been playing the trumpet for four years, but how much has he practiced? For the first time ever, the Keller High School Marching band performed in the Macy's Thanksgiving Day Parade. They were be the only high school from Texas this year. Right by his side will be senior and section leader Kailey Summons, and she has practiced as much as she should — not to play, but to serve as Bell's legs during their big performance, all because of a birth defect that left him in a wheelchair. And she's one of Bell's biggest fans. "Oh he's great, very positive attitude. He's so funny," Summons said. I mean he makes the best out of every situation. So, he's a good, he's a good kid." 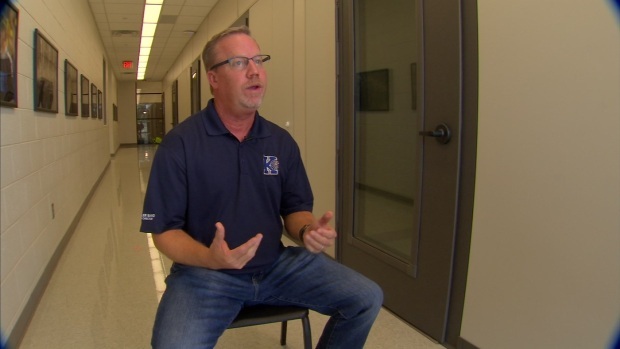 The Keller high school Director of Bands, Mark Mcgahey, talks about the band’s upcoming trip to New York City to perform in the Macy's Thanksgiving Day Parade and how it came about. On a Thursday afternoon at Keller High School, the two are getting ready to perform before the football game in the band’s "Spirit Show." "There's Drew!" she yells as he comes into the cafeteria where the band is gathering. "You're just gonna be right here," Summons says to Bell. She looks after him, and he often needs it. “Wait, where's your gloves and gauntlets ... do you have your jug?" Summons asks through the course of getting ready. "I make sure he's ready for everything, so then it's just not me focused on me, it's me and him,” Summons says. Kim Summons, mother of Keller marching band member Kailey Summons, shares how Kailey not making varsity marching band as a freshman was a blessing in disguise. For Bell, becoming a member of this marching band is a big deal. With its 400 members, it's one of the best in the country. "When did you know you wanted to be on the marching band at Keller?" he was asked. "For as long as I can remember. I just like this band," Bell said. Before becoming a member of this prestigious group, Bell faced challenges greater than most, including seven surgeries. He has spina bifida, meaning his spine didn't fully develop in the womb. "So I was born like this. So, I'm stuck with it and going to be stuck with it forever, till I die,” Bell said. Are there ever times when it frustrates him? "No ... because I know that there's people way worse than me,” Bell said. 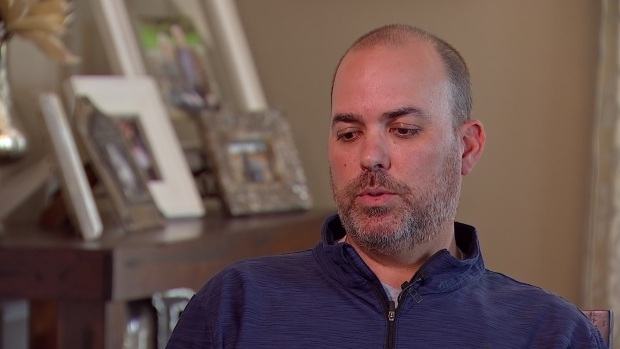 Drew Bell’s dad, Bryan Bell, talks about spina bifida and the amazing recovery Drew experienced after his first surgery (while still in the womb). And he doesn't let it get in his way of anything — including the biggest obstacle when it came to being on a marching band. Bell can't play his instrument and push his wheelchair at the same time. Someone needed to step up. "And then my private teacher and my band directors were kind of like, 'Well, if we can just get someone to be his feet and he can be the trumpet player,' and I was like, 'I'll do it!’" Summons said with enthusiasm. The Keller High School director of bands, Mark McGahey, talks about why it’s important for his band to welcome students of all abilities. She didn't hesitate, and the entire band welcomed him with enthusiasm. "I wasn't expecting it,” Bell said. “I would think that they would like, maybe not like me, but now I know that they do. So it's really, it's really good." "You know, you just worry that he's going to be over on the side or something, you know what I mean?” said Bryan Bell, Drew’s father. 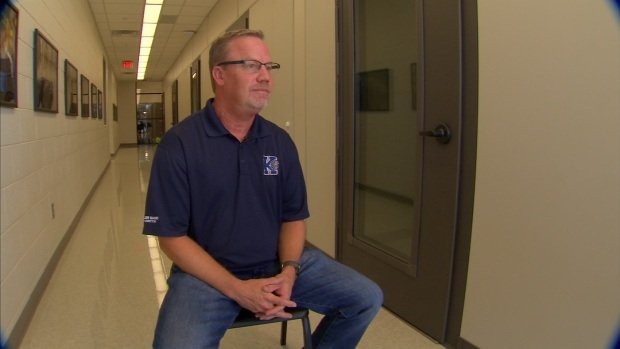 “But since the first day I called Mr. McGahey [the Keller High School director of bands], I expressed those concerns and he said, 'Bryan, no. He's going to be a part of the band and we're excited about it.’"
Bell is the first student on the Keller Marching Band to perform in a wheelchair. As a freshman, he'll play alongside the band in New York City in the Macy's Thanksgiving Day Parade, which is also a first for the school. "It's very exciting,” Summons said. “I never thought that I would be in any parade, let alone the Macy's Day Parade." Summons still gets to perform with the varsity marching band in competitions and at halftime of football games, but for the "Spirit Show," which is sometimes before a game, she skips playing her trumpet so Bell can be the one to shine. When they perform together, Summons is the one who has to memorize all of their movements, and she takes Bell where he needs to be on the field. She doesn't play so he can. And she means a lot to Bell. "Well, I wouldn't be able to march without her," he said. "She didn't have to do it, she wanted to—and that means a lot to me, and she doesn't get to play because of it." Each choreographed step is a symbol of the day-to-day partnership between Summons and Bell, because their individual actions give way to a bigger message. When asked what Summons has learned from this experience, she said, "Just because someone is different from you, doesn't mean you have to treat them differently." Summons said no matter what field they play on, there are usually obstacles that take them a little longer, but they always find their way together. "You're still strapped in," Summons said to Bell as they waited at the bottom of the stadium’s stairs. "I know," he answered. She took his hand and together they climbed the stadium steps together to their seats with the rest of the band. "She's doing it because she felt it in her heart that she wanted to do it, and I think it's blessing her too,” said Bryan Bell. "A lesson is when you give of yourself and sacrifice, it blesses you and it makes you happy, more than it's helping — more than the other person is happy." It's a friendship that began with a selfless act of service and because the Keller marching band welcomes every student. Even though Summons is a senior this year, McGahey said he has no doubt that someone else will step up next year to help Bell as he continues his dream with the Keller High School Band.